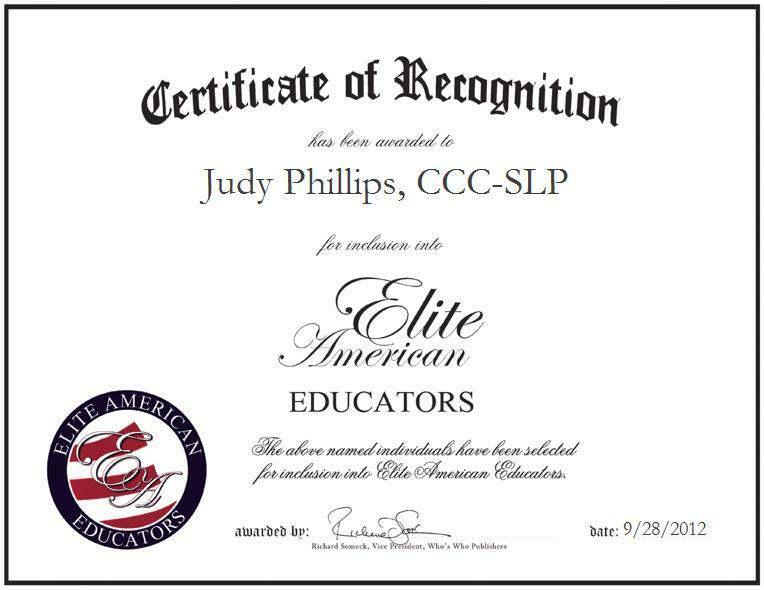 Judy Phillips, CCC-SLP is a Speech Language Pathologist serving the Franklin Pierce School District. An expert on literacy development, Ms. Phillips shines as a luminary in her field, demonstrating a genuine passion for what she does, and a desire to teach communication skills to the younger generation. She is primarily responsible for evaluating student performance, teaching, coordinating with teachers to assist students, and developing programs. Ms. Phillips also writes reports, attends meetings with parents, solves pertinent issues, and collaborates with a team of teachers for interventions for at-risk children. In addition to these responsibilities, Ms. Phillips assists the technology team in the development of technology for students to access curriculum.